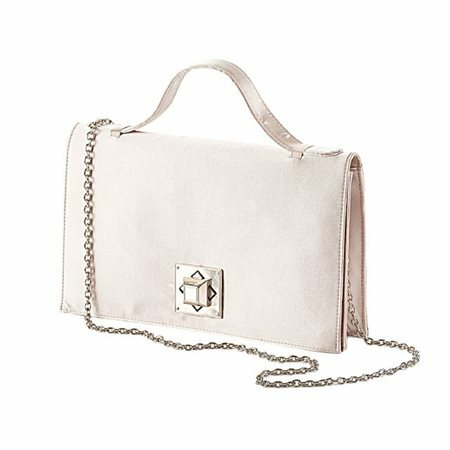 Compliment your outfit with this gorgeous satin finish bag with square lock detail by Vera Mont. The bag has a delicate handle and longer chain handle that hides away neatly. The bag comes complete with its own dust bag.